A recent study conducted by LIRNEAsia, an information and communications technology (ICT) policy think tank, highlights a significant gender gap in mobile phone ownership and internet access in the country. The study, according to a report from Indian Express on its findings, claims that the gender gap in mobile phone ownership ranks the highest among 18 comparable countries. The study further highlights that women, rural citizens, and those of a lower income status significantly lag behind in Internet and social media use as well. 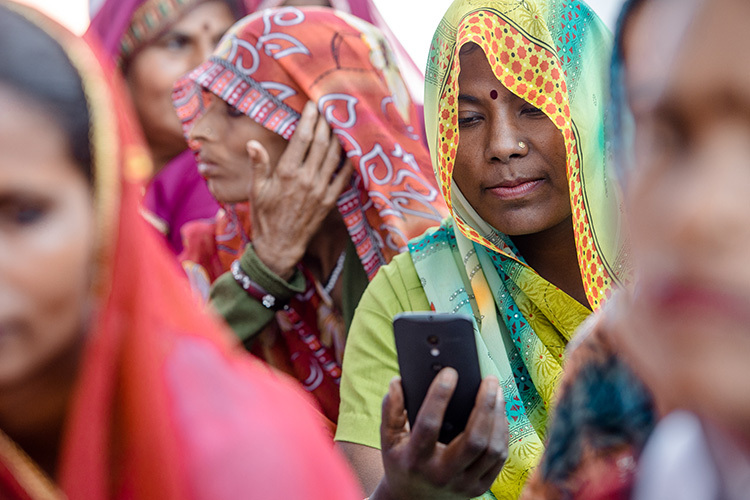 Statistically, only 43 percent of women in India own mobile phones compared to around 80 percent of men, which is attributed to a lack of awareness among the population. The gender gap in mobile ownership is larger compared to other countries like Pakistan, Bangladesh and Rwanda, with it increasing even further in rural areas. The study laid emphasis on fake news, revealing that Indians also had a high distrust of news shared on social media, with only 29 percent of users trusting social media news. The country also has a higher percentage on online harassment, compared to Pakistan, Bangladesh, and Cambodia at 19 percent. Helani Galpaya, CEO LIRNEAsia, also commented on the gender gap and was quoted saying, “India should be doing better than this because it is performing like the poorest countries in the sample”.